Are you ready to #RunMBM? 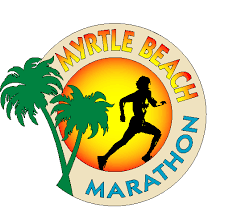 Plan your next racecation at the beach and join us for the 21st running of one of the flattest and fastest races in South Carolina: the Myrtle Beach Marathon, Half Marathon, Marathon Relay, 5k and Family Fun Run! Whether you’re aiming to qualify for the Boston Marathon on a flat and fast course in perfect race weather, or you’re looking for a fun destination race for your family or friends, sign up today for our 21st annual race and #RunMBM on March 2-3, 2018!